I started surfing about the moisturizing creams that can cater all my needs and are reasonably priced. 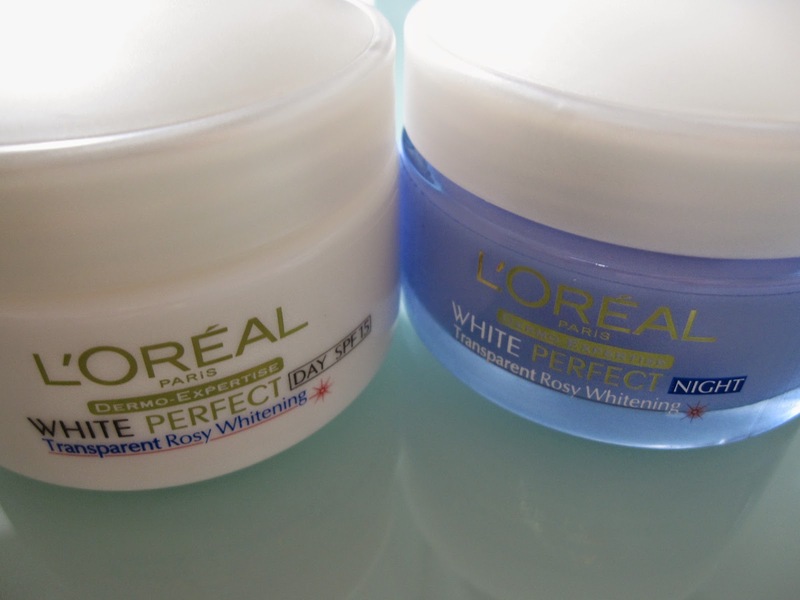 I went through many of the products and their reviews, but the one which I found interesting was about "New White Perfect – Transparent Rosy Whitening by L’Oréal Paris. So, I went to supermart near my residence and bought both, day and night cream jars, available with the tag of transparent rosy whitening cream. 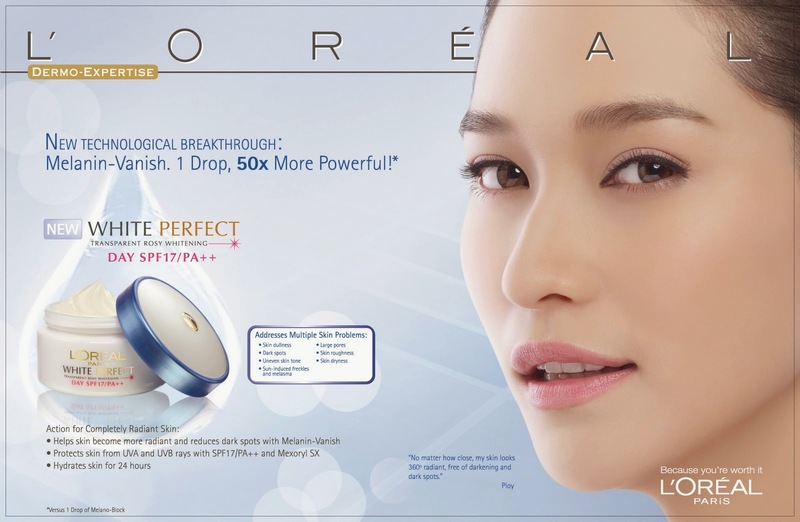 L’Oréal Paris is a name that has done a successful brand positioning in the market. The key element behind the success is continuous research and innovative ideas. So was the case with transparent rosy whitening cream. The New Transparent Rosy is available in day and night jars. The thing which attracted me most is that, both the jars are enriched with the power Pink Tourmaline, which is a very precious stone and my favorite as well. This stone is a symbol of love and affection, and also has healing properties in it, which relaxes nerves and fight against genetic and hormonal issues.. Along with pink tourmaline, which is the main ingredient of both the creams, day cream is enriched with advanced melanin block, which has the ability to stop melanin (Skin pigmentation) formation, the key factor helping in lightening of the skin tone. 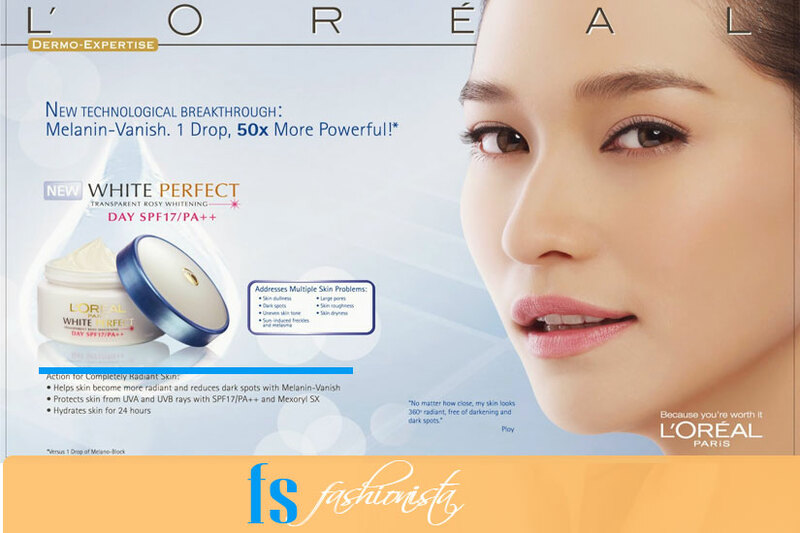 It also has SPF 15 that protects the skin from UV rays and sunlight and will eventually reduce the darkening of skin. For the very first time, I took a pea sized amount on my hand and applied it on my skin. I guess it is the best way to find out the consistency and texture. It felt very smooth, nicely blend and easily absorbs into the skin. So I took a little more amount and applied it on my whole face. It seemed quite light weighted and moisturized my skin properly. It gave an immediate glow to my skin, but I noticed that any extra amount of cream applied to the skin can reflect like a coated film, so you need to be very careful while applying it. It worked all good at home, but produced a bit of oil/sweat on my skin. May be this was due to SPF factor, but I believe this will work best for people having dry skin. Regular use made my skin better and single toned. Like day cream, it has advanced melanin and power of pink tourmaline in it. It has a great moisturizing formula that deeply moisturizes the skin, leaving it velvety soft, shinny and exfoliated. First thing I felt, when I touched the cream was a smooth texture and a gel like formula. I applied it on my face before going to bed. It completely absorbed in my skin and gave a velvety soft feeling. Like day cream, I didn't notice any instant change in my dark spots as it claims so it must be made more active as an exfoliater. After few weeks of continuous use, I felt my skin became more soft, velvety and healthy. So, I liked it very much and will definitly reinvest my money in this product. 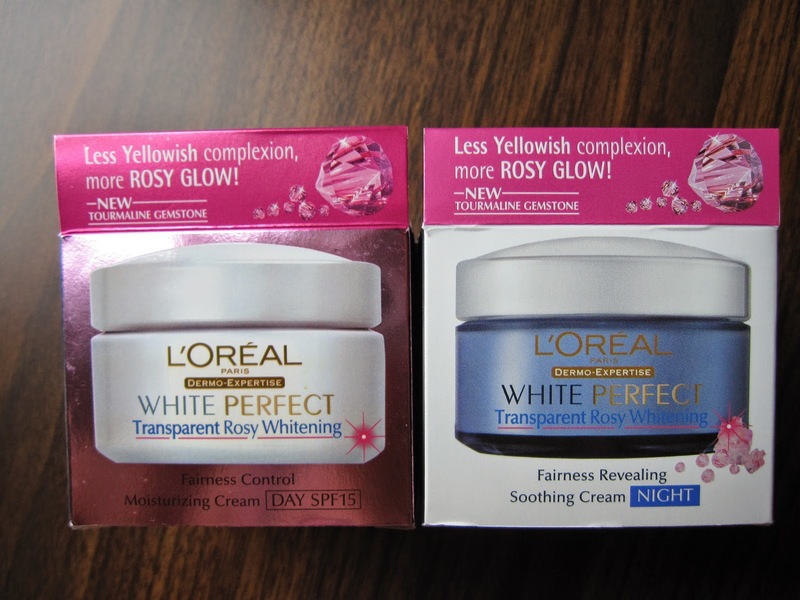 "The New White Perfect – Transparent Rosy Whitening cream is the perfect addition to the pampering skin care range by L’Oréal Paris – it is rather glamorously enriched with powered tourmaline, which in addition to many other qualities, also helps in blood stimulation, which is what makes it extra attractive for me, because I have always believed that beautiful skin is an incredible asset and also the best makeup” – Meesha Shafi, L’Oréal Pakistan Spokesperson. Sara Hassan, a well renowned name in the list of product review specialists, writes "My final verdict on this (day) cream would be that it is a good moisturizer with sun blocking property. Great for people with dry to normal skin types looking for a two in one product..." she further continued, "Overall, I’d say that I like the night cream more than the day one. It’s a good moisturizer which helps to brighten the skin tone. In my opinion, it is suitable for all skin types (including the oily/combination) as it didn’t break me out at all." 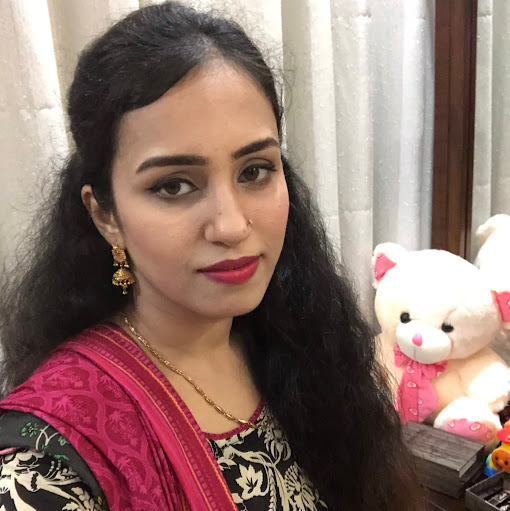 Shobana Shalleni, Says, "I would not really recommend this range to people with oily skin as the day cream makes your face slightly oily.. so, I'm afraid it might make people with oily skin even more oilier but as for me since I have dry skin it gives amazing results. It moisturizes and had lightened my face. I just love it! Therefor those who wish to try a good whitening product this is a must try...it's reallllyyyyy awesome ;).."
Finally, after using both the creams for 2 weeks continuously, I would recommend that day cream is good for dry skinned people throughout the year. Whereas, oily skinned people may use it in winters or dry weather. Night cream is equally good for all the skin types as it nicely absorbs in. 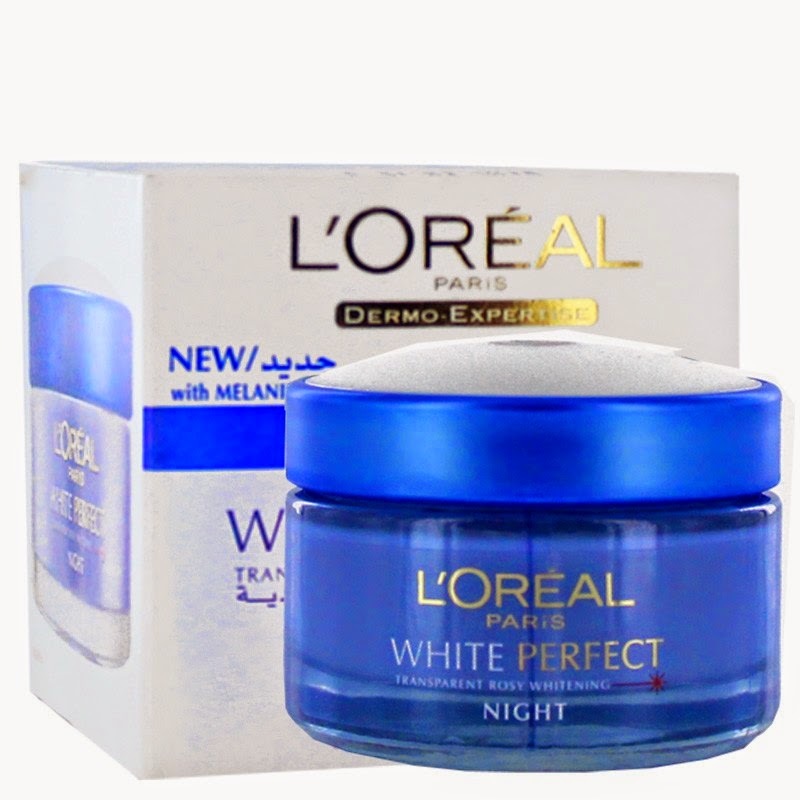 You can buy L'Oreal White Perfect cream from Amazon and Ebay at a very good price.